In all our work we strive for resource efficiency. 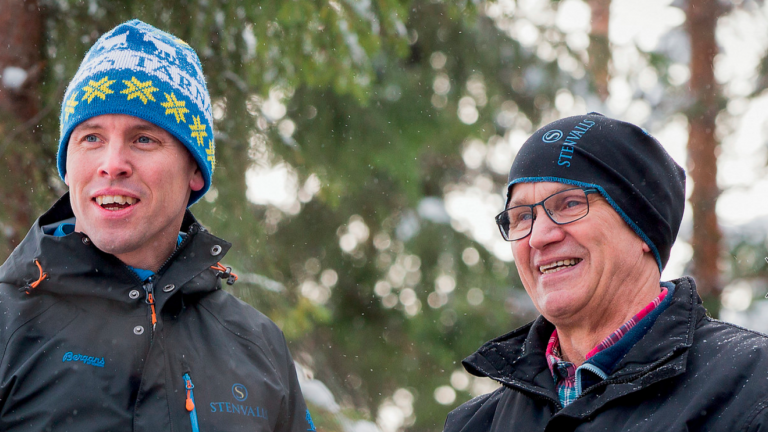 In the purchase of raw material we put a premium on environment certifications, the forests owned by our subsidiary company Stenvalls Skogar AB are PEFC certified. 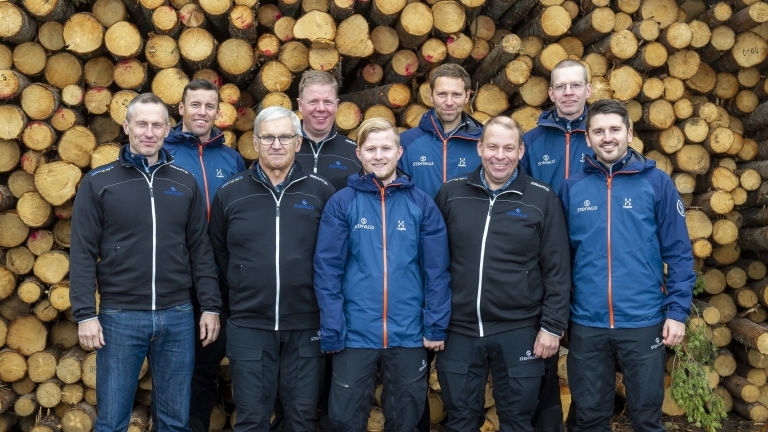 And we purchase high amounts of certified wood from several local and nearby companies around Norrbotten and therefore we minimize the use of transports. When possible the timber is transported by railway. The purpose of the extensive further processing of the wood is to not waste any parts of the log with the help highly integrated processes. Our production is integrated in several ways, like our wood pellet production which is connected to our saw process which minimizes the need for transportation. The drying of wood chips is integrated with the drying of our wood. 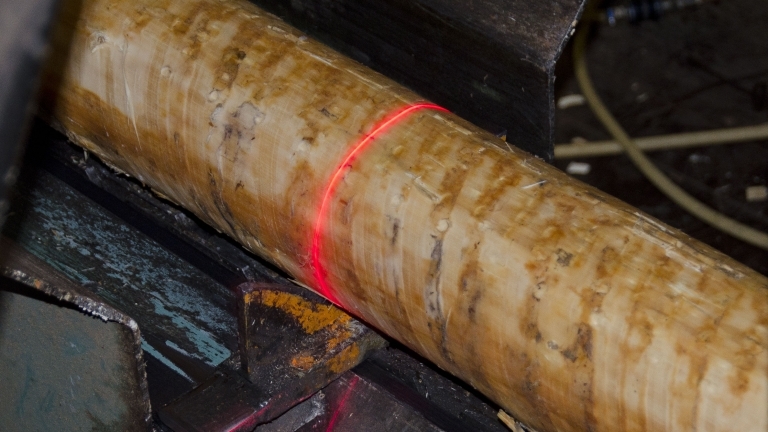 All the heat which is used for the drying comes from heating of our own bark that comes from the sawing of our timber. Other examples of processes that has been integrated is our planning and roof panels, where our own sawmills produces all the needed components and therefore we minimize the waste in a much higher way then many of the standard products on the external market. Our integrated production minimizes the need of transportation in a way which a standalone processing plant cannot. When we invest we always try to mix in new products with existing ones to both keep prices down and to keep our sustainability plan resource efficient. The main raw material is wood – a renewable resource. 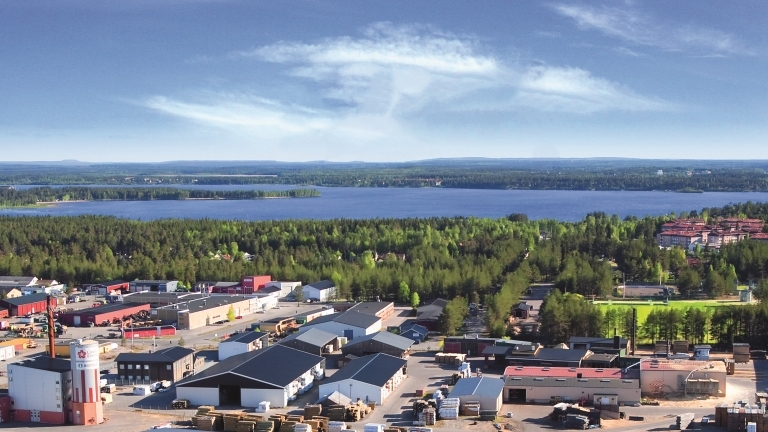 At Stenvalls Trä our waste products gets turned into renewable energy, sustainability is another part of our strategy and we started during the 1990s to reuse our waste products from our production. Today we reuse the following byproducts which emerge from the sawing of timber and further processing such as planning. These byproducts then gets turned into renewable energy such as woodchips that is used to create pulp and paper, bark that gets used in heating plants, sawdust that we use in our own wood pellet production. We also use a big part of the byproducts to heat up our drying kilns, production area and our office buildings. 75 % of our energy consumption comes from our own heating plants. This heat is mainly used for wood drying but also to keep our facilities warm. Our driving factor of success are satisfied customers. Therefore we always strive to do what's best for our customers in the long-run. We aim to be cooperative and to present ourselves as knowledgeable and qualified. We aim to provide a stable product of the highest quality. Our environment and business concept requires continuous improvmenets in it's implementation. Therefore we base our decisions on fact and measurements, we are continuously improving our quality management system, we aim to do the right things at the right time and in that way we work proactively to avoid problems and risks. The company has a lot of responsibilites as it is affected by several factors. We adhere to the laws and regulations that are set but at the same time we also have our own ethical codes and policies which are to minimize negative effects on the envoirement, as well as consumption of water and energy. A pleasant and productive working environment is a factor of success. That is why our employees work as a team where the individual's knowledge and contributions are highlighted. We ensure that critical information reaches everyone affected to guarantee that our work is done with quality and success. We observe and acknowledge our employees contributions and ensure that the right person is at the right place by careful planning, recruiting and further education.